Added on May 28, 2018 by Kenta McGrath. I contributed an article about Kazuo Hara's documentary The Emperor's Naked Army Marches On for the tenth issue of Peephole Journal. The journal focuses on close analyses of single shots from film, television, and other screen media. Read the article here and see the table of contents for the issue here. Added on February 20, 2018 by Kenta McGrath. A new collection edited by Debbie Olson, The Child in World Cinema, will be published by Lexington Books this month. 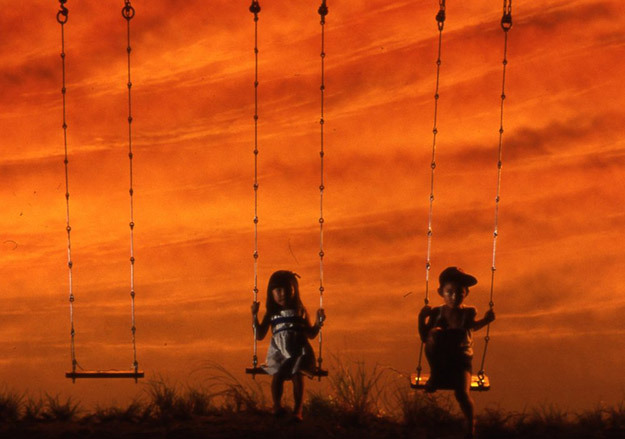 I contributed a chapter called "Abandon the Young in Tokyo: Yoshitaro Nomura's The Demon and Hirokazu Koreeda's Nobody Knows", in which I look at the phenomenon of child abandonment in postwar Japan and how it's represented in these two excellent films. This collection seeks to broaden the discussion of the child image by close analysis of the child and childhood as depicted in non-Western cinemas. Each essay offers a counter-narrative to Western notions of childhood by looking critically at alternative visions of childhood that does not privilege a Western ideal. Rather, this collection seeks to broaden our ideas about children, childhood, and the child’s place in the global community. This collection features a wide variety of contributors from around the world who offer compelling analyses of non-Western, non-Hollywood films starring children. The hardback and eBook versions will be available through the publisher and on Amazon within the next few days. Added on February 11, 2018 by Kenta McGrath. The second issue of Sightlines Journal is out, and features a range of films and filmed experiments which were screened at the Sightlines: Filmmaking in the Academy Conference at RMIT University in late 2016. The journal, which is run by the Australian Screen Production Education & Research Association (ASPERA), publishes the filmmaker's research statement and two open peer reviews alongside the films. I contributed a peer review of Catherine Brough-Brady's A Portrait of Judith Buckrich. You'll find it all here. Added on October 9, 2017 by Kenta McGrath. I contributed a chapter about Hitoshi Matsumoto's Big Man Japan for Giant Creatures in Our World: Essays on Kaiju and American Popular Culture, a new collection edited by Camille D.G. Mustachio and Jason Barr, and out now on McFarland. I also participated in a "What Is Kaiju?" discussion with some of the authors, which has been published in a section of the book's introduction – most of which you can read here. Added on August 8, 2017 by Kenta McGrath. I contributed an article about the Cronulla riot and Abe Forsythe's Down Under, the recent Australian film about it, for the new issue of the open-access journal Alphaville: Journal of Film and Screen Media. The issue is themed "Screening Race: Constructions and Reconstructions in Twenty-first Century Media" and is guest edited by Loretta Goff and Caroline Schroeter. Access the article directly here and the table of contents here.